Check out our latest vehicle graphics project! 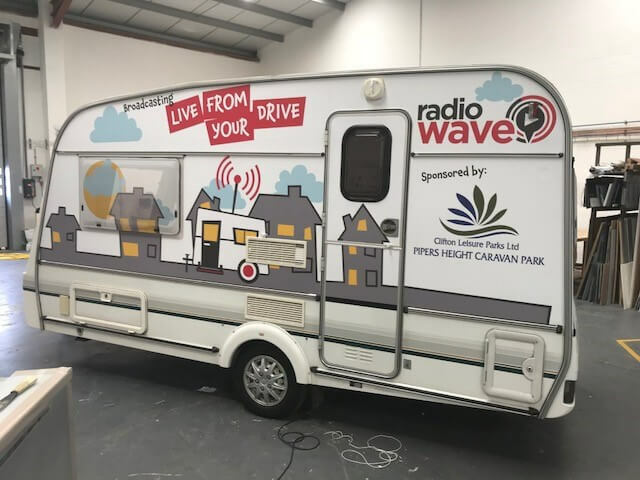 Printed vinyl detail applied to this caravan on behalf of Radio Wave! Be sure to check out some more of our vehicle graphics jobs!